The eleventh edition of LPM Live Performers Meeting begins on May 31, 2012 in Rome. In fact it is this community of artists that made of the 2011 Rome edition a surprising event. We hosted not less than 484 artists, 228 performances, workshops and showcases, recording an overall amount of 32 participant countries: Albania, Andorra, Argentina, Belgium, Belarus, Brazil, Bulgaria, Colombia, Denmark, France, Germany, Great Britain, Greece, India, Ireland, Italy, Macedonia, Mexico, New Zealand, Netherlands, Poland, Portugal, Romania, Slovenia, Spain, United States, Russia, Switzerland, Turkey, Hungary, Uruguay, Ukraina. This year LPM returns with a new location: Planet Alpheus in Rome, a multifaceted area of 3,000 square meters perfectly suited to accommodate the different souls of the Meeting. Part of the Meeting will take place at the Teatro Valle, a historic landmark in Rome which, since almost one year from the occupation, will host some installations, av performances and vj / dj set. Again, this XI edition seeks to promote the practice of live video performance, thanks to a rich and unpredictable programme aimed at exploring different themes through new audiovisual languages, techniques and technologies. Registration to the meeting is FREE and you can subscribe by following the procedures of registration in the “participate” section of the website. To give the opportunity to host most of the performances we receive, the maximum duration of each show is 30 minutes. Registration is open until March 26, 2012. 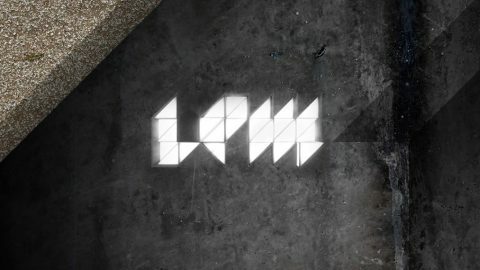 LPM is produced with the support of the Culture Programme of the European Commission and in collaboration with international partners and co-organizers, the project includes a second edition in 2012 in Mexico City, with a series of previews and promotional events focused on live video to be held in France, Hungary, Greece and Italy, during the most important European festivals and cultural events.